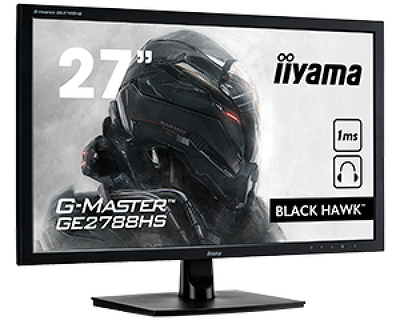 iiyama, one of the leading manufacturers of desktop monitors, large format displays and touch screens, proudly introduces the new Black Hawk™ GE2788HS.Part of the recently introduced G-MASTER™ series, the Black Hawk™ is specially designed for gamers. Black Hawk™ GE2788HS features a blistering 1ms response time, ensuring fluid and accurate transition between the images. The monitor offers color accuracy and consistent color reproduction with wide viewing angels and a high resolution 1920x1080 panel. Gamers can easily adjust the brightness and dark shades using the Black Tuner functionality, improving the viewing performance in shadowed areas. With direct access to 5 predefined and 3 custom stored gaming modes, gamers can quickly adjust their setting preferences. Equipped with a broad selection of inputs (VGA, DVI, HDMI) and a headphone connector, the Black Hawk™ ensures compatibility with both pc and console gaming. 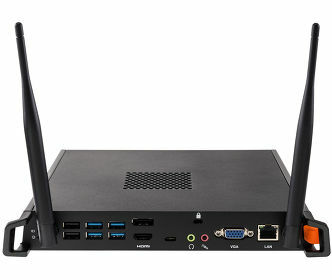 This high specification screen is an ideal solution for playing strategy games like RTS, MOBA and MMO. 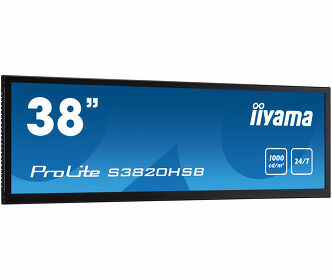 The Black Hawk™ GE2788HS will be launched across Europe by iiyama on 3 November.